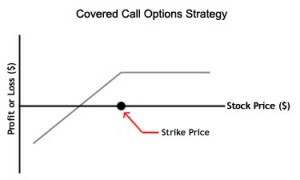 Too often, traders jump into the options game with little or no understanding of how many options strategies are available to limit their risk and maximize return. 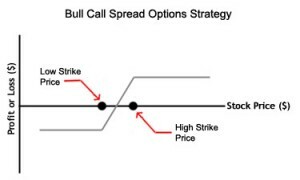 With a little bit of effort, however, traders can learn how to take advantage of the flexibility and full power of options as a trading vehicle. With this in mind, we’ve put together this slide show, which we hope will shorten the learning curve and point you in the right direction. Aside from purchasing a naked call option, you can also engage in a basic covered call or buy-write strategy. In this strategy, you would purchase the assets outright, and simultaneously write (or sell) a call option on those same assets. Your volume of assets owned should be equivalent to the number of assets underlying the call option. Investors will often use this position when they have a short-term position and a neutral opinion on the assets, and are looking to generate additional profits (through receipt of the call premium), or protect against a potential decline in the underlying asset’s value. 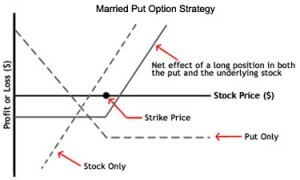 In a married put strategy, an investor who purchases (or currently owns) a particular asset (such as shares), simultaneously purchases a put option for an equivalent number of shares. Investors will use this strategy when they are bullish on the asset’s price and wish to protect themselves against potential short-term losses. This strategy essentially functions like an insurance policy, and establishes a floor should the asset’s price plunge dramatically. In a bull call spread strategy; an investor will simultaneously buy call options at a specific strike price and sell the same number of calls at a higher strike price. 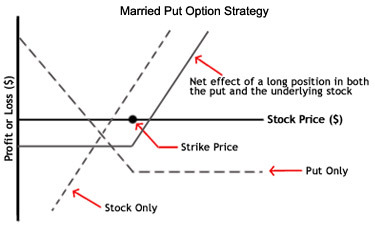 Both call options will have the same expiration month and underlying asset. This type of vertical spread strategy is often used when an investor is bullish and expects a moderate rise in the price of the underlying asset. The bear put spread strategy is another form of vertical spread. 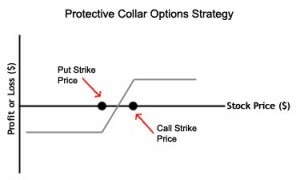 In this strategy, the investor will simultaneously purchase put options as a specific strike price and sell the same number of puts at a lower strike price. Both options would be for the same underlying asset and have the same expiration date. 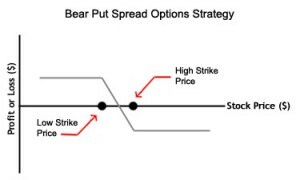 This method is used when the trader is bearish and expects the underlying asset’s price to decline. It offers both limited gains and limited losses. A protective collar strategy is performed by purchasing an out-of-the-money put option and writing an out-of-the-money call option at the same time, for the same underlying asset (such as shares). This strategy is often used by investors after a long position in a stock has experienced substantial gains. In this way, investors can lock in profit without selling their shares.